This amazing Salmon with lemon capers and rosemary recipe is so amazing and my family love it. It's so soft and fresh, just mouth melting. I hope you like it. Coat the top and bottom of salmon fillets with olive oil and season the fillets with salt, pepper and rosemary. Place each piece of seasoned salmon on a piece of film that is large enough to cover it. Now place on top of each piece of salmon 2 lemon slices, 1 tablespoon lemon juice, 2 tablespoons wine and 1 tablespoon capers. Fold the foil tightly to cover. Put a grill pan over medium-high heat or preheat a grill plate. 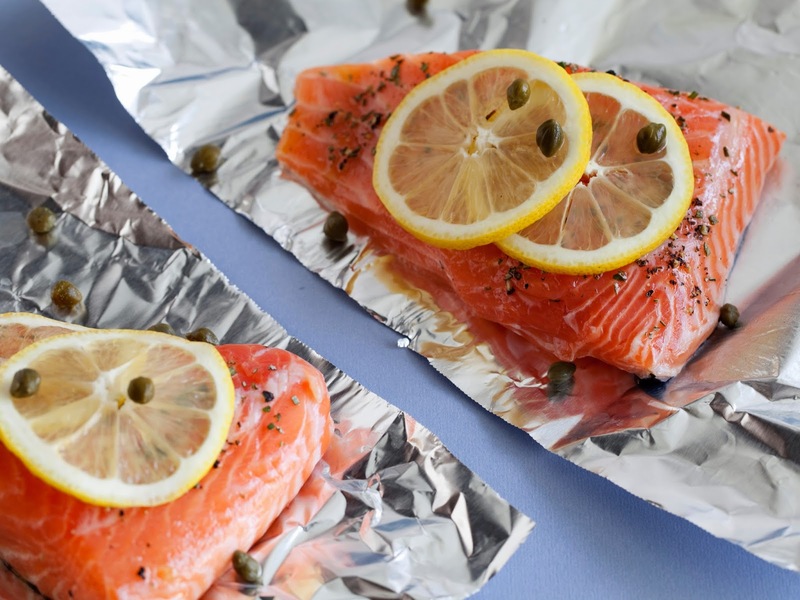 Place the foil packets on the selected pan or sheet and bake for 10 minutes to 2.5 cm thick salmon.